The National Arts Centre has officially unveiled its special 50th anniversary season, which features dance and song from around the world. The National Arts Centre (NAC) officially unveiled its special 50th anniversary season Saturday, which features dance and song from around the world. The centre's special season will offer more than 40 concerts showcasing some of the world's best classical artists, as well as popular English and French theatre, and dance productions. "In the past few years there has been a seismic shift in the way Canadians see our world and the way our theatre makers imagine the stories and perspectives within it," said Jillian Keiley, the NAC's English theatre director. "The debates happening around Canadian dinner tables are being reflected on Canadian stages, illuminated by intelligence, mischief and wit." 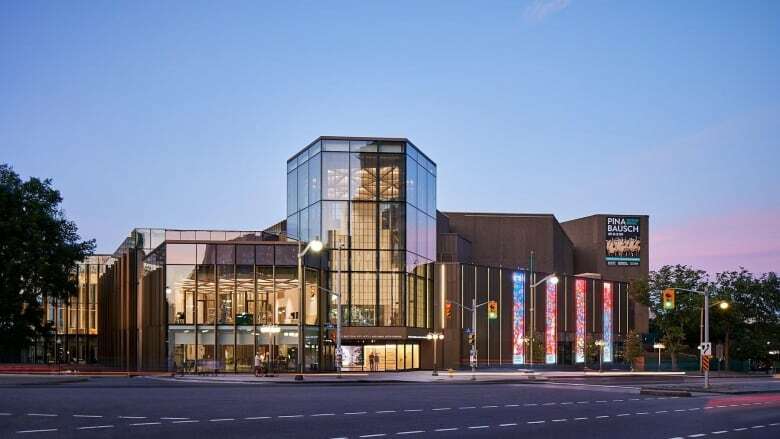 "The orchestra was founded the same year that the building was opened in 1969, so the orchestra itself celebrates its 50th anniversary," Daphne Burt, the manager of artistic planning with the NAC Orchestra, told CBC Radio's In Town and Out. In October 2019, the National Arts Centre will celebrate its 50th anniversary. The new season is all about how the orchestra has grown as an ensemble, she said. The orchestra will feature Peter and the Wolf in Hollywood, which is based off the original symphonic fairy tale for children but includes a little twist. The centre has also announced that Venezuelan pianist Gabriela Montero will perform, as well as Scottish percussionist Evelyn Glennie. On the dance front, the NAC is performing some classics, including a version of The Wizard of Oz that is part ballet, part Broadway, said Eleri Evans, a spokesperson for NAC Dance. She said she is also excited for the internationally recognized Danza Contemporánea de Cuba, as well as the long-awaited return of Nederlands Dans Theater, one of the world's "preeminent" dance companies. For English theatre, the centre will feature Paradise Lost by Governor General Award-winning playwright Erin Shields and Michael Frayn's Copenhagen, which explores the unravelling bond between Nobel Laureates Niels Bohr and Werner Heisenberg. The centre will also feature The Neverending Story and Old Stock: A Refugee Love Story. "I really wanted to showcase a lot of … shows that were really going to be having a big impact and be a big hit," Keiley said. French theatre will also feature shows like J'aime Hydro, Parce que la nuit and L'Iliade.